Brett is a senior from Washington DC majoring in Political Science and History. She has been a member of CIVIC since early 2016. 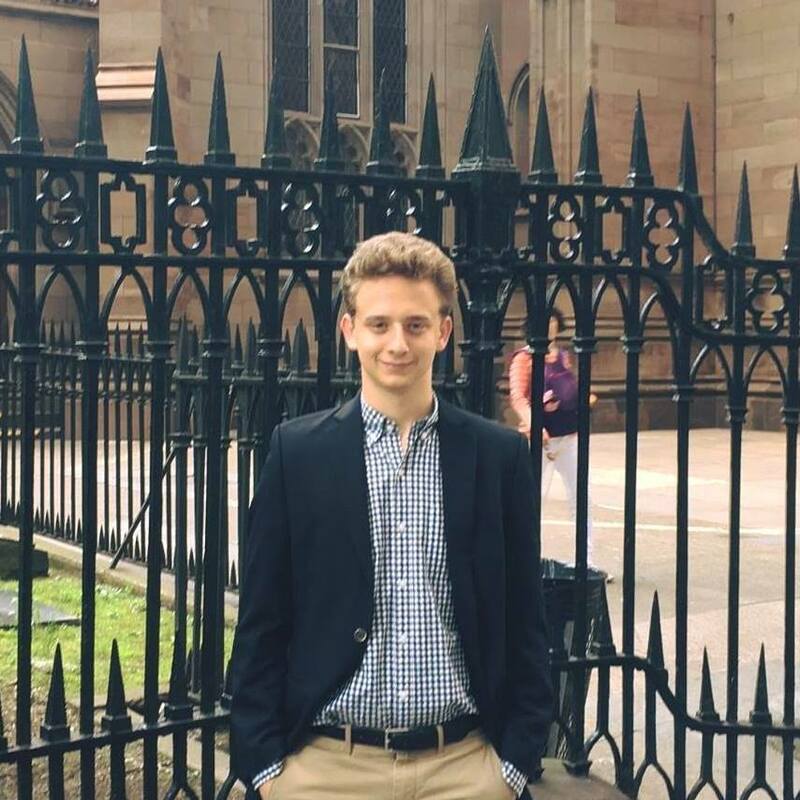 Brett previously served as Treasurer, and during that time worked to plan the first debate as well as secured the annual funding from Tisch College. Her favorite CIVIC topic is either privacy or DC statehood. Rachel is a junior from Los Altos, California majoring in Political Science and International Relations. She has been a member of CIVIC since 2016, when she was a Freshman Representative. She then was Moderator in the 2017-2018 school year. During her time on e-board, she created the idea of workshops and a Policy Challenge, which have become annual events. Her favorite topic is the Supreme Court. Madeline is a junior from Chicago, IL majoring in Political Science and Computer Science. She started her work at CIVIC in her freshman year and most recently served on e-board as Communications Director, where she worked on the Spring Debate with the Tufts Republicans, Tufts Democrats, and the LUP. Her favorite topic is infrastructure. Zachary is a sophomore from New York and Singapore majoring in Quantitative Economics and Political Science. He has been in CIVIC for one year and served on the e-board last year as Freshman Representative, where he worked on freshmen outreach and organizing the debates. His favorite topic is either taxes or abortion. Fun Fact: he's seen every episode of The West Wing four times. Haider is a sophomore from New York majoring in Biochemistry and Political Science. A member of CIVIC since his freshman year, Haider previously served as a Freshmen Representative, where he helped plan the Spring Debate and the inaugural Easter Egg Hunt. His favorite topics include immigration reform and the electoral college. Aidan is a junior from Nashville, TN majoring in Political Science and Philosophy. He has been a member of CIVIC since his sophomore fall and is excited to join e-board for the first time. His favorite topic is violence and protesting. Fun Fact: he's seen every Nicholas Cage film. Rhys is a sophomore from Los Angeles studying Quantitative Economics. He has been a member of CIVIC since the fall of his freshman year. This is his first role as a member of CIVIC e-board. His favorite topic is gun restrictions and control. Fun Fact: his name means "enthusiastic" in Welsh. Jonah is a senior from Cambridge, MA studying Biochemistry and Biotechnology. He has been a member of CIVIC since his sophomore year. Jonah previously served on e-board as the Logistics Director, where he coordinated the space and materials for various events. His favorite CIVIC topic is moral and philosophical issues that get to the root of differences. "Also agriculture. I like agriculture." Jen is a freshman from Bellingham, WA studying International Relations and Spanish. She has been a member of CIVIC since the beginning of the year and this is her first position on e-board. She is excited to help organize the workshops on How to Run for Office” and “Speechwriting.” Her favorite topic is education. Chi-chi is a first-year from South Florida who is undecided, but interested in International Relations, Political Science, History, or Anthropology. She has been a member of CIVIC since the beginning of the year and this is her first position on e-board. She is excited to work with other groups on campus and help members of the club develop their voices. Her favorite CIVIC topic is the Supreme Court!